Since 1973, the professional audio sales and rental company Sound Productions has provided top artists with the custom designed sound systems, backline, musical instruments and more. And after 40 years in the business, the company still stands as one of the industry’s top providers, offering its customers quality products and production services to support tours of all sizes. 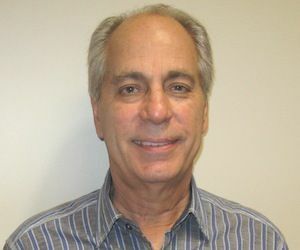 Sound Productions CEO Charles Kitch co-founded the company in 1973. At the helm of Sound Productions since its start is CEO Charles Kitch, who in 1973 co-founded the company after accommodating a quick order from Elvis Presley’s then-tour manager, Charlie Stone. At the time, Kitch was an established sales representative with Larry Morgan of Arnold & Morgan Music in Garland, TX, where he sold musical instruments, recording and pro audio products at discount pricing. Kitch connected with Presley’s tour when Stone called the store looking for backline rental for a show in Dallas. When the store owner refused to rent equipment, Kitch put together the required gear for Stone, including his personal Fender Twin amp, and equipment borrowed from another employee who also owned a four track recording studio called Sound Productions. The company’s logo boasts a keyboard, referencing the company’s specialty with Hammond B3s and Leslie keyboards, along with Steinway grand pianos with customized Helpinstill pickups and monitor systems. “Building custom speaker systems for bands required us to open up with vendors like JBL, Crown, Soundcraft, UREI and others,” said Kitch. From there, Kitch said the company’s clients wanted to buy many of the products they were renting, leading Sound Productions into sales and repairs. By 1984, Sound Productions worked with the Dallas-based Tammel Crow Company to install hotel disco audio systems, but by 1988 decided it would be best to stick to sales and distribution to avoid competing with the company’s contractor customers. A team of 22 full time employees help run the sales, shipping and production of Sound Productions. Kitch’s role is mainly focused on marketing, consignment sales and used equipment brokering. While the company doesn’t develop new products, Kitch said he keeps up with the industry’s latest innovations and serves as a marketing consultant for manufacturers and to help keep up with competition. “We have the reputation of stocking more high end mixing consoles than our competitors. We are also known for our expertise and product knowledge, as our sales staff all have experience as mixing engineers,” Kitch added. Sound Productions has also branched out from just catering to tours, and provides equipment for churches, sound contractors, DJs and more. For future endeavors, Kitch said Sound Productions is improving itself based on customer suggestion, adding a training center and product demo room to the company’s distribution center near the Dallas/ Fort Worth airport. The company’s website will also soon add a ‘Shopping Cart,’ making customer services even easier. “We have a culture of professionalism that is customer centric and we believe in the well being of all of our stakeholders, including employees, reps, vendors and support personnel,” Kitch said. “I am most proud of the fact that Sound Productions has become a recognized brand, known for great customer service and support. I am also very proud of all my team members who have helped build this company,” Kitch said.